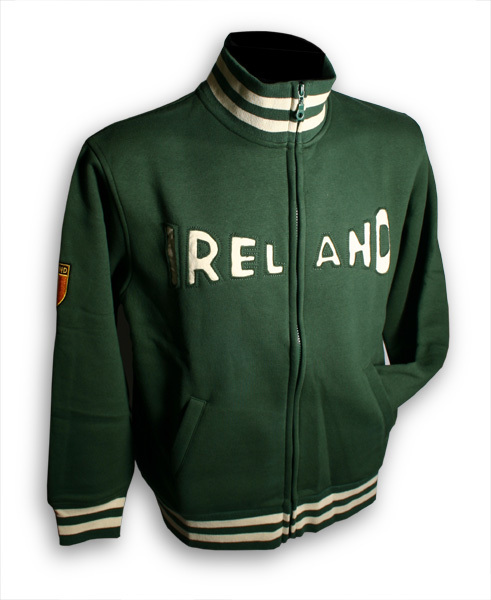 Features 'cutaway' style "Ireland" on front, and Irish flag patch on right sleeve. Full length zip, turtle style or fold down collar, 2 slash pockets, elasticated wrists and waistband. Available in a limited range of sizes only.